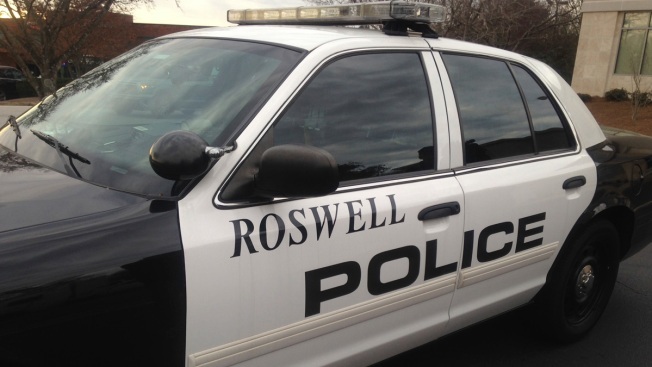 In this Jan.13, 2015, file photo, a Roswell police car is seen near North Fulton Hospital in Roswell, Georgia. Heads, you're under arrest. Tails, you're free to go. Body camera video shows Georgia police officers laughing as they use a coin-flip app to decide whether to detain a woman during a traffic stop in April. The video obtained by NBC affiliate WXIA-TV shows Roswell police Officer Courtney Brown asking Sarah Webb whether she knew how fast she was going. Webb apologizes, saying she was late for work, and Brown tells her to turn off the car and hand over her keys. Brown then returns to her car to consult with fellow officers about whether to arrest Sarah Webb or just give her a ticket. "What do you think?" one of the officers asks. Brown says she didn't record the actual speed at which Webb had been driving. She then can be heard saying, "Hold on," as she opens a coin-flip app on her phone. Officer Kristee Wilson suggests that heads should mean arrest and tails should mean release. Brown agrees and flips the coin in the app. "This is tails, right?" Wilson asks. "Yeah, so release?" Brown responds. The officers decide to charge Webb with going too fast for conditions and reckless driving. Brown then arrests Webb, handcuffing her and putting her in the back of a patrol car. Police Chief Rusty Grant did not immediately return an email Friday seeking comment. The television station reports that both officers are on administrative leave and the charges against Webb were dropped. Webb said she didn't know that her fate had relied on a coin toss until the television station contacted her.